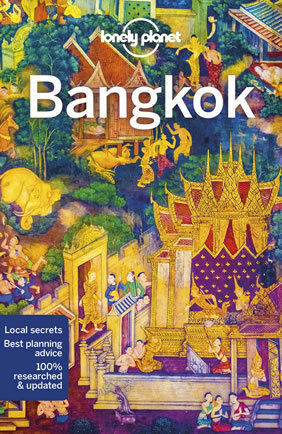 Experience the history of Bangkok by day, and witness the city come to life at night at one of the many bars and clubs in Silom on this 5-day city break. 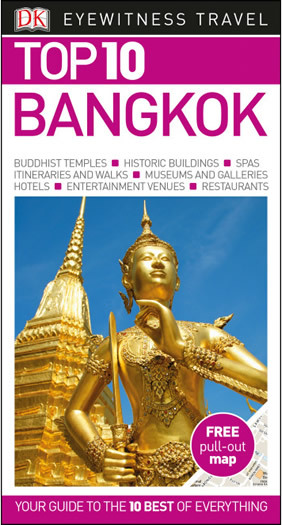 • Lap in Luxury at the gay-welcoming Sofitel So Bangkok • Marvel in the glory of the Grand Palace • Take a ride in a traditional longtail boat through the narrow canals of Bangkok • Dine on board a luxury rice barge dinner cruise • Dance the night away in one of the many Silom gay bars • Learn about modern Thai art. • Travel insurance package covering medical, trip interruption & baggage loss. Sofitel So Bangkok is the city's first truly urban hotel, bringing together elegant French luxury and warm Thai hospitality. This design hotel was styled by Monsieur Christian Lacroix, and the result is a one-of-a-kind collaboration between an award-winning architect and five of Thailand's leading designers. The hotel features two restaurants, a fantastic pool, free mini-bar and wifi and a monthly LGBT party at their famous rooftop bar! This stylish urban oasis boasts stunning interior design inspired by the 5 natural elements of Water, Earth, Wood, Metal and Fire. Rising 30 stories above the city, Sofitel So Bangkok has rooms equipped with Apple Mac minis and suites with iPads. Elegant and modern, the themed rooms feature full-length windows with views or the city or Lumpini Park. All come with free Wi-Fi, a 40-inch flat-screen TV and a free minibar. Bathrooms have a bathtub and separate rainshower. An arrival transfer is included on day 1 of this trip. Transfers cannot be arranged on arrival. Please advise your flight arrival details at least 14 days prior to your departure. If you plan to arrive earlier, this arrival transfer can only be offered in conjunction with pre-tour accommodation booked through us. You are provided with one complimentary arrival transfer per booking even if clients are arriving at different times. 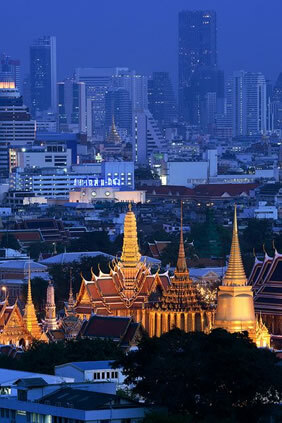 Welcome to Bangkok, the City of Angels! 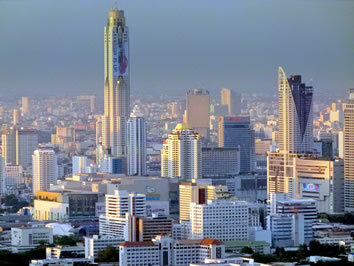 You'll be welcomed at the airport and transferred to the fabulous Sofitel So Hotel in the heart of Silom. After you check in, you'll be transferred to the Chao Phraya River for a boutique river cruise where you'll have your first taste of the fantastic food of this region. The rest of your evening is free to relax in luxury at your hotel, or perhaps you'd like to take a walk to some of the local gay bars. 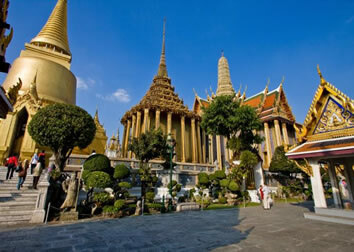 This morning you'll have a guided visit of Grand Palace, the home of the Thai Royal family at the Royal Palace complex followed by Wat Phra Kaew, home to the Emerald Buddha, one of Thailand's most sacred images. 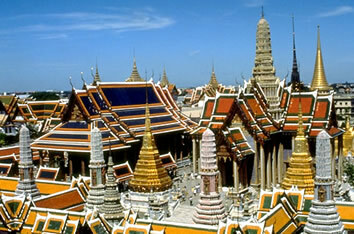 You'll also visit Wat Po, the largest temple in Bangkok, housing a 46m long, 15m high gold-plated reclining Buddha. 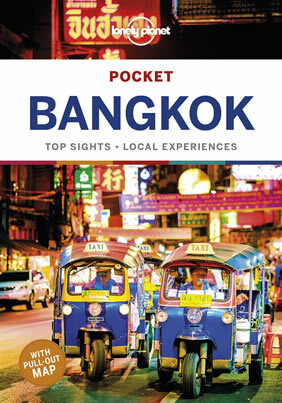 You'll enjoy a local lunch before boarding a long-tail boat for a tour of the local canals where you'll understand why Bangkok was once known as the Venice of the East because of its intricate canal network. This evening you'll be free until your gay guide picks you up from the hotel for a night tour of the Silom area, including a handful of the vibrant bars and clubs. Today you'll visit Jim Thompson's House, a lovely garden-enclosed compound sitting on the bank of the Saen Saeb Canal, left behind by a middle-aged American man named Jim Thompson. His elegant residential enclave, comprising six traditional Thai teakwood houses transported from Ayutthaya and Bangkok's Ban Krua community, echoes Jim Thompson's 30-year love affair with Southeast Asian art and cultural heritage. You'll have an optional lunch before visiting MOCA - the Museum of Contemporary Art which is home to some of the finest modern art in Thailand. Your evening is free to relax. A morning drive to the ancient capital of Ayutthaya will transport you back in time to the Kingdom of Siam. During the peak of its realm, Ayutthaya was considered one of the finest cities in the world, with palaces filled in gold, decorative monasteries. Today only a few ruins remain, but they are well worth the excursion! Arriving back in Bangkok in the afternoon you will have time to enjoy one of the city's famous restaurants such as Issaya Siamese Club. There are no activities planned today. You are free to depart at any time, with your airport transfer included. This trip is part of our Individual Adventures range. As it is not a group trip it has no fixed departure dates. Select your preferred start date and our reservations team will process your booking request. Please note that Independent booking requests are subject to availability at your preferred travel time. Tour Only, Per Person, Double Occupancy, based on availability. * Seasonal prices may apply. Prices are subject to change if travel occur during trade shows, bank holidays or special events and supplements may be applied. Remaining balance collected min. 60 days prior to departure.